I pride myself in being neat and tidy. Everyone who takes one step into my room first comments on how clean my room is. It’s just how I like things. I never let it get past the point of a couple articles of clothing strewn on the floor and an un-made bed; I just found it better for my sanity. Coming home from a long day at school or work to an immaculate room is one of life’s little joys for me. For some reason, since I was a little girl and brushed my teeth in a hall bathroom with Mickey Mouse wallpaper and matching shower curtain, I’ve never been able to say the same for my bathroom. It’s not that it’s a total wreck, I just have a lot of stuff without a real bonafide place. Under the sink, there are lotion bottles and hair oils strewn about with no rhyme or reason. It bugs me. Especially now that the house I live in comes with the bathroom attached to my room. I see it every morning when I hop in the shower after a long run and every night when I begin my skin care routine before hitting the hay. One wild Saturday night around 9pm, I decided it was the perfect time to organize my bathroom. 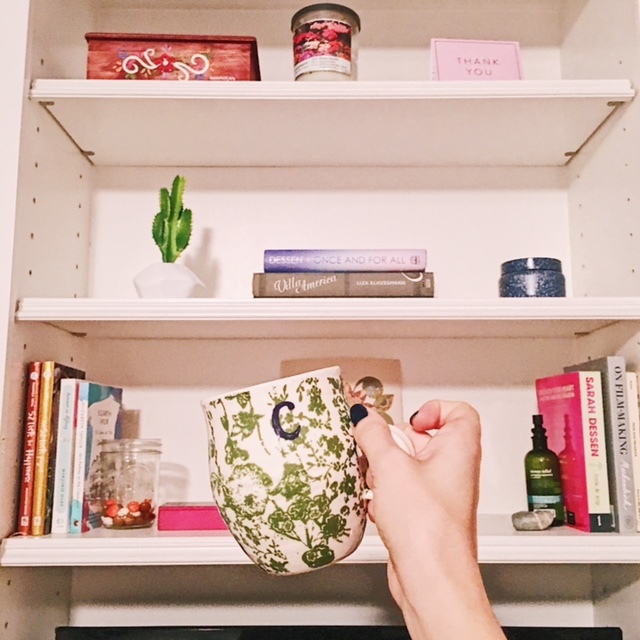 I want to share with you how I did it because I know that many of my readers are using small, dorm bathrooms right now or something similar in a shared apartment or house. 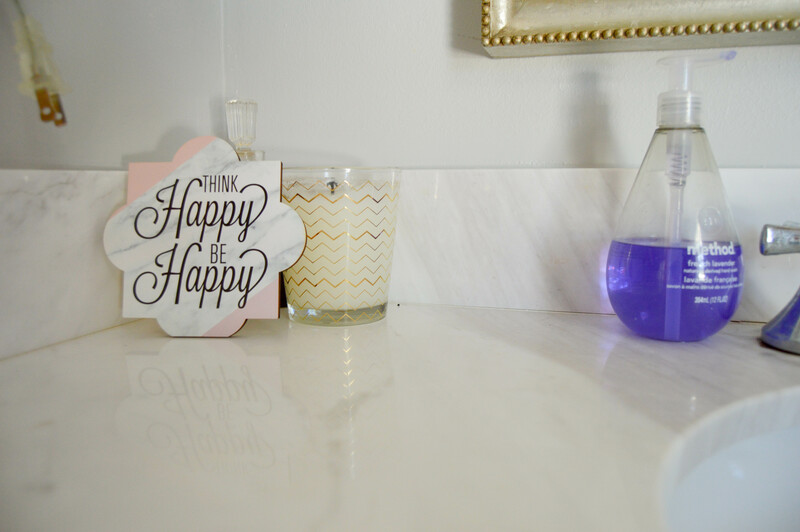 I think we should all be chasing little ways to bring more joy into our lives, and who knows – a clean and organized bathroom could do just the trick. I took most of the stuff out, but kept some things in the drawers/cabinets momentarily so I could sweep and scrub the floors. Are you going to buy a shelving unit? Install floating shelves? Buy baskets? Get acrylic containers? Choose your method of war and attack. Here are the “after” pics of my bathroom organization. I got the white bins from WalMart for under a dollar!!! Crazy, right? 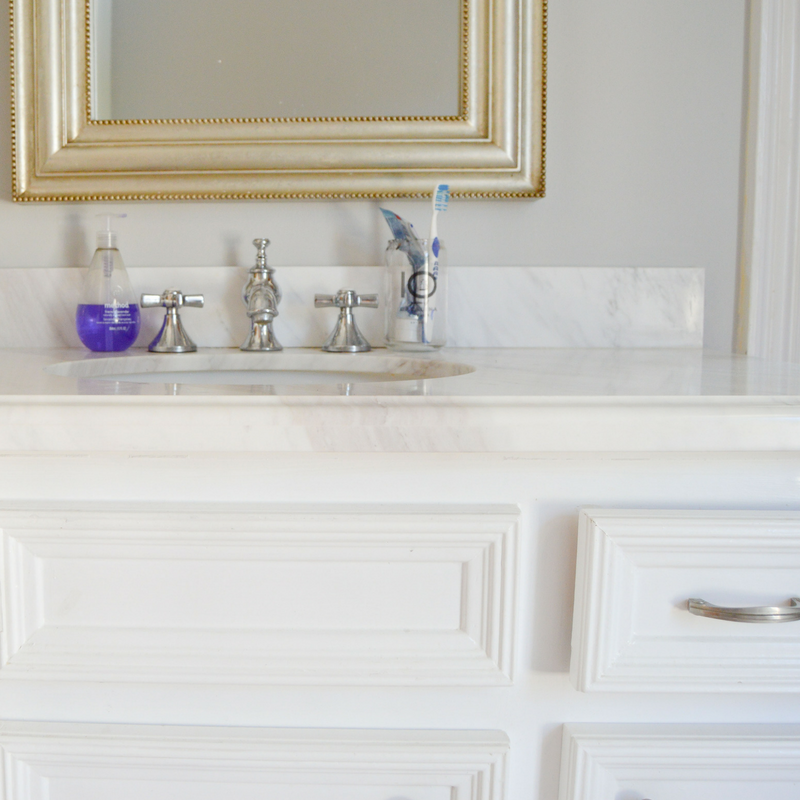 I wanted nothing on the countertops except the bare necessities – I knew that would make the space look bigger and cleaner! It’s been so easy to get ready in the mornings. 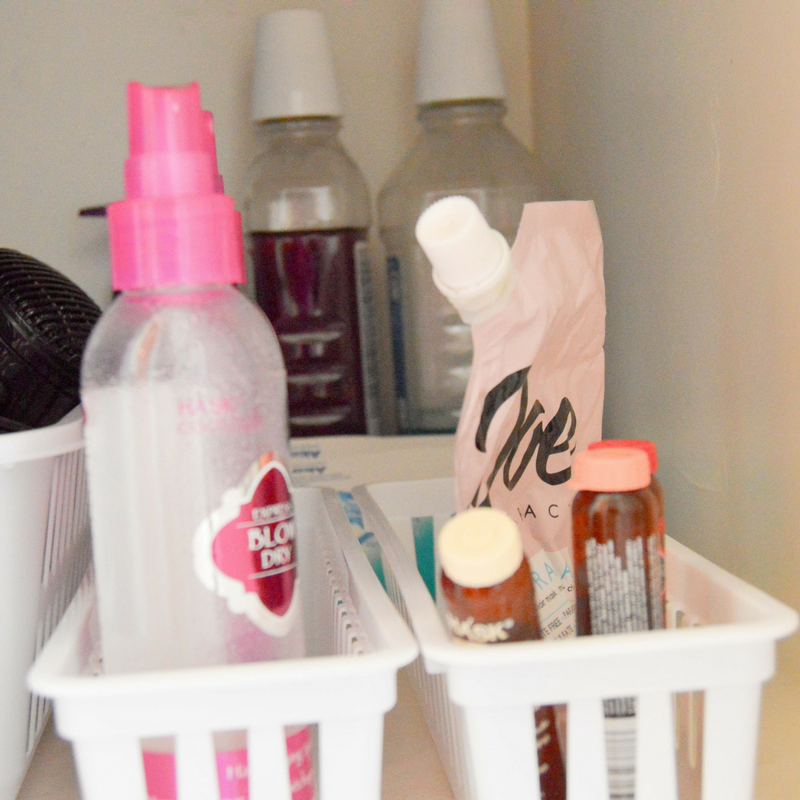 I know to grab my bottles for my skin care from the drawer closest to my right hand when standing at the sink, and then I have hairbands in here, too to get my hair out of my face. My make-up bag has my mascara that I apply after workouts for work or school. I just picked up this one and I’m obsessed! 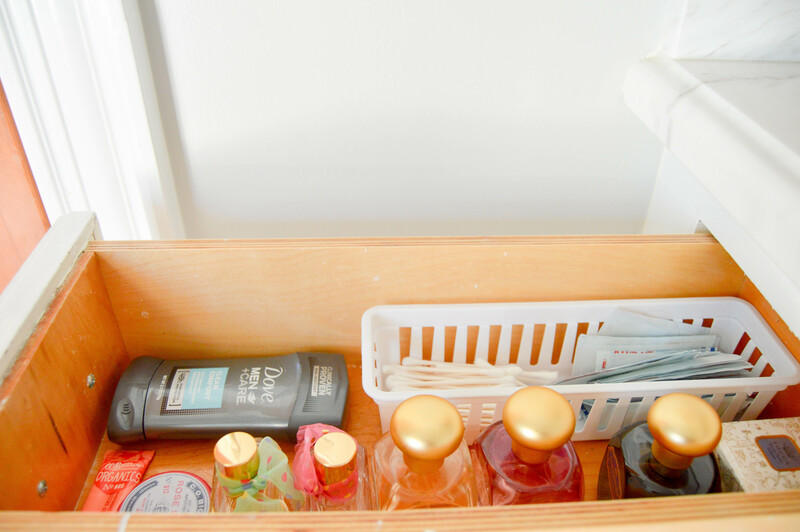 The lefthand drawer has my deodorant, lip stuff, and collection of perfumes as well as Q-tips and bandaids. I was a little OCD and organized my perfumes according to color. Haha! They are all from Francesca’s except the one in the box, which is going to be my second bottle of Collete from Anthropologie when I get through with my current bottle. It’s my favorite! The drawers under the cabinets hold my hair tools and hair products. I have been obsessed with the hair mask that I got in my Caring Crate a couple months ago, and I use my hair oils after doing an at-home blow-out. Let me know if you’d be interested in an at-home blowout tutorial! I also have a ton of body lotions, and a new wet brush! My hair stylist, Kate, gifted it to me, and I have to say – it lives up to the hype! 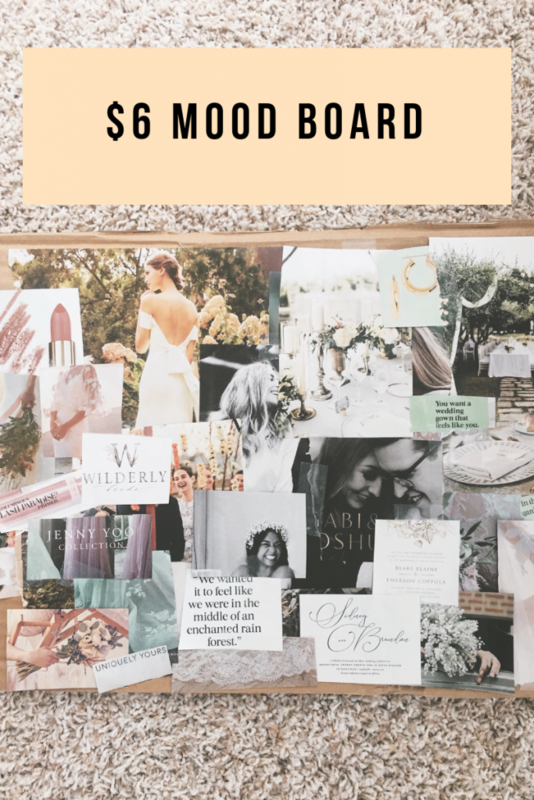 I seriously did not realize how much having an organized bathroom would boost my mood each day! 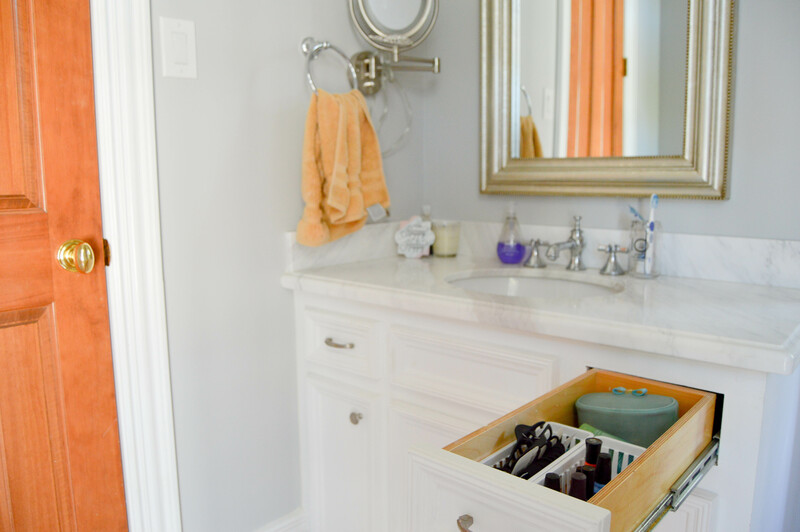 I am in and out of here – in the morning to brush my teeth and put my hair up for my run, after my run to shower, to put my makeup on….it’s just great to walk in and be greeted with an organized, clean space! 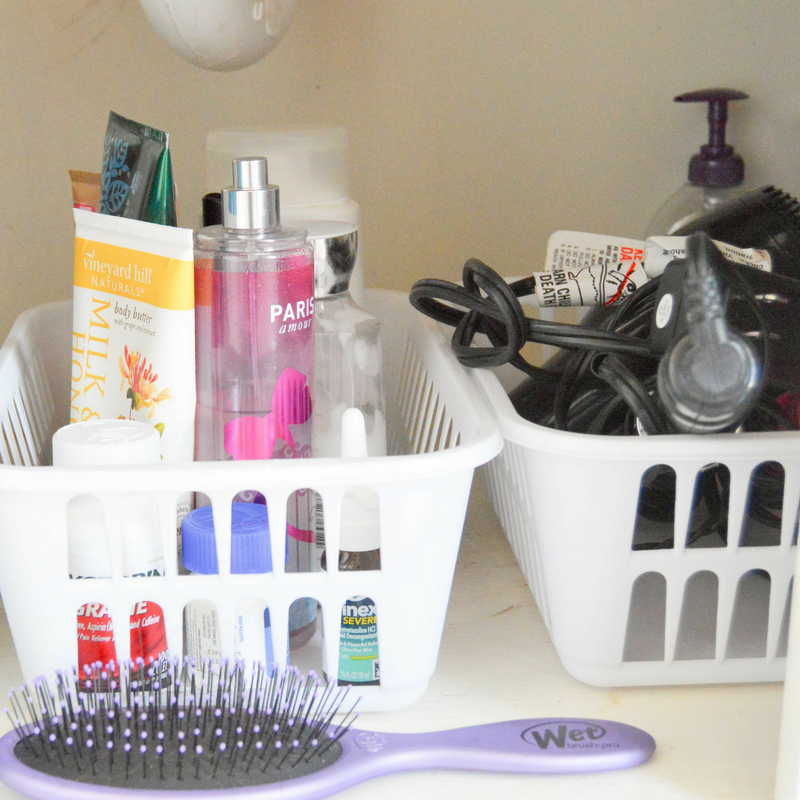 Do you have an bathroom organization tips?